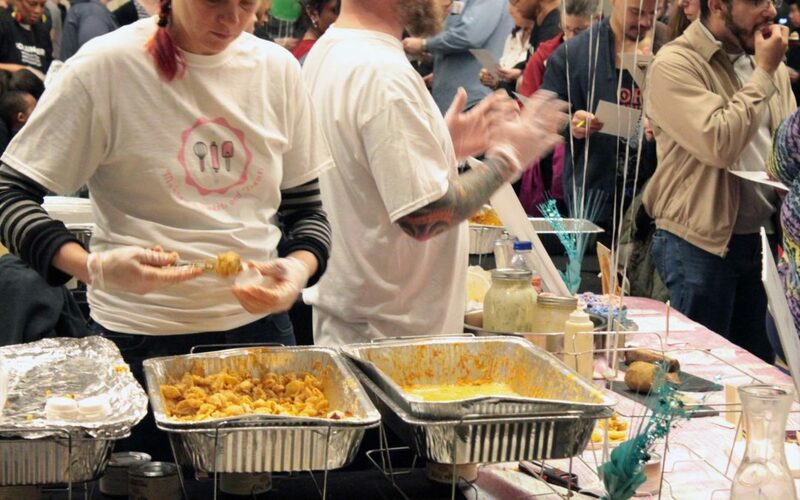 This past Saturday, people traveled from across the country for the 2018 World Vegan Mac ‘n Cheese Championship. Baltimore’s third vegan mac and cheese championship, hosted by Thrive Baltimore, featured 29 worthy contenders—some from as far as Portland, Oregon. There was such a range of recipes—from the noodle-centric to the saucy, and including flavor infusions and inclusions like bacun, jalapeno, buffalo, and ranch. 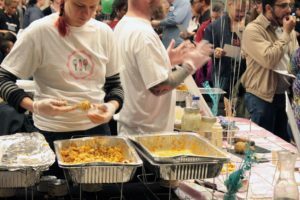 Some of our favorites included Stall 11‘s loaded mac and cheese, with their smooth and creamy sauce (perhaps a future menu item? 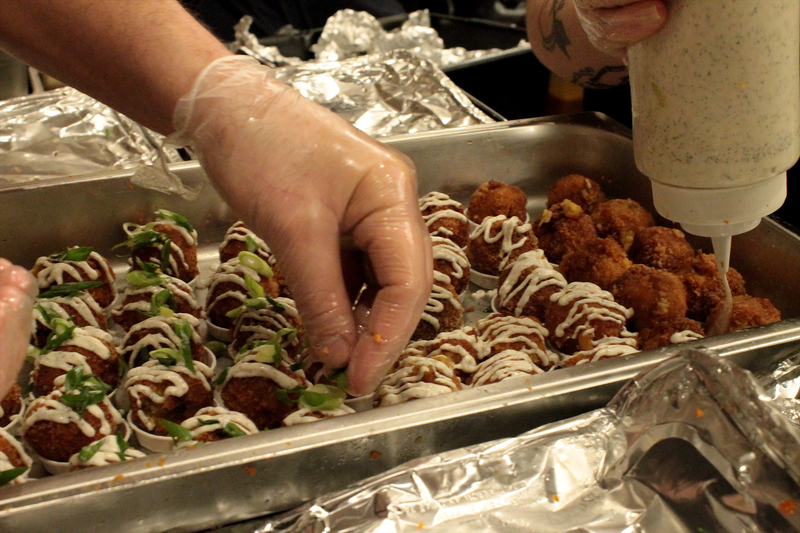 ); the No Bones Beach Club mac ‘n’ cheese balls topped with ranch, carrot, and chives; and Roots Market‘s classically delicious mac. 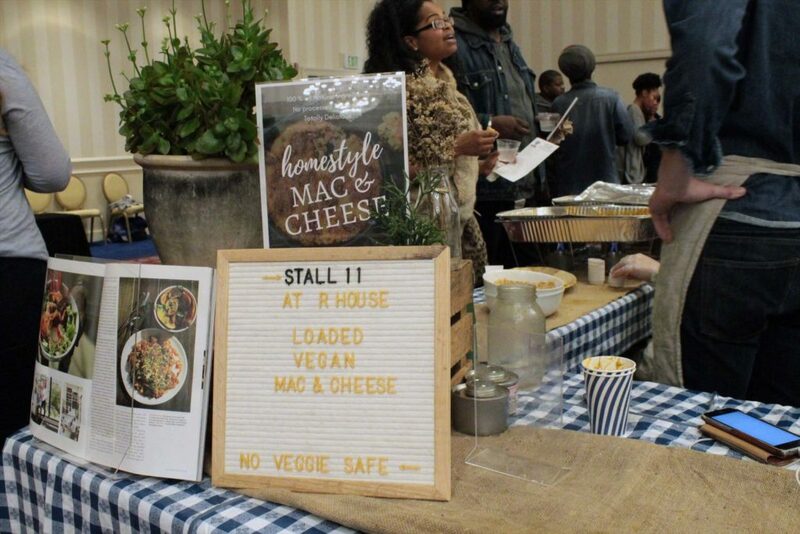 I also thoroughly enjoyed the macs from Veggie Massacre—which, side note, is apparently opening a vegan sandwich shop in Baltimore! ?—Go Go Vegan Go, a food truck out of Richmond, Virginia, and Mobtown Sweets and Treats with their buffalo bacun mac. Drawing out-of-state contestants from places like Virginia, Delaware, New York, and Washington state, the event further establishes Baltimore’s place in the national vegan movement. 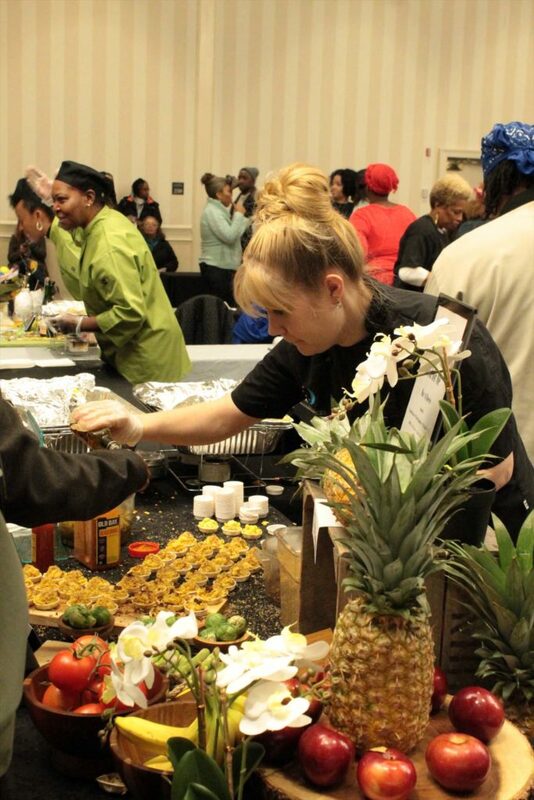 And, as in years past, attendees traveled great distances to visit Baltimore and experience some of the best vegan mac and cheese. 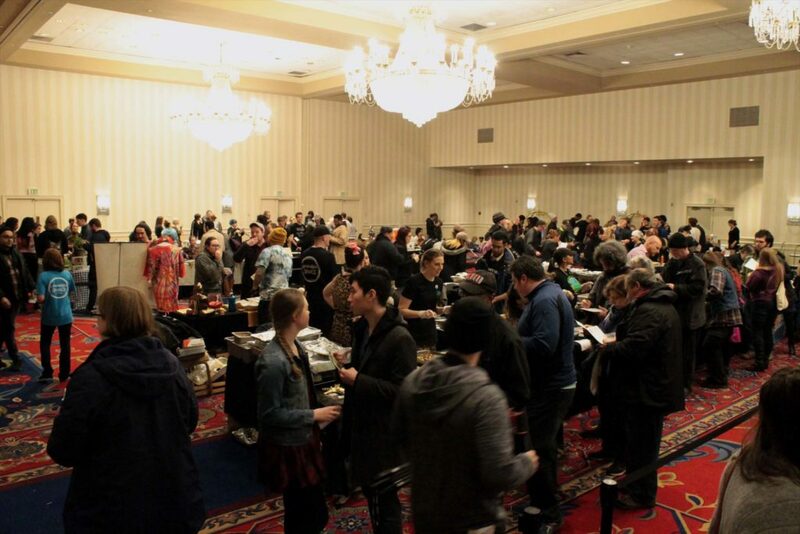 Each year, the event has improved—from relocating to larger and larger spaces to creating better systems for voting. However, there’s still an element of chaos to the afternoon…and a lot of waiting in line (like, a lot of it). The upside of this line-waiting is the time you can spend bonding with those in front of and behind you. 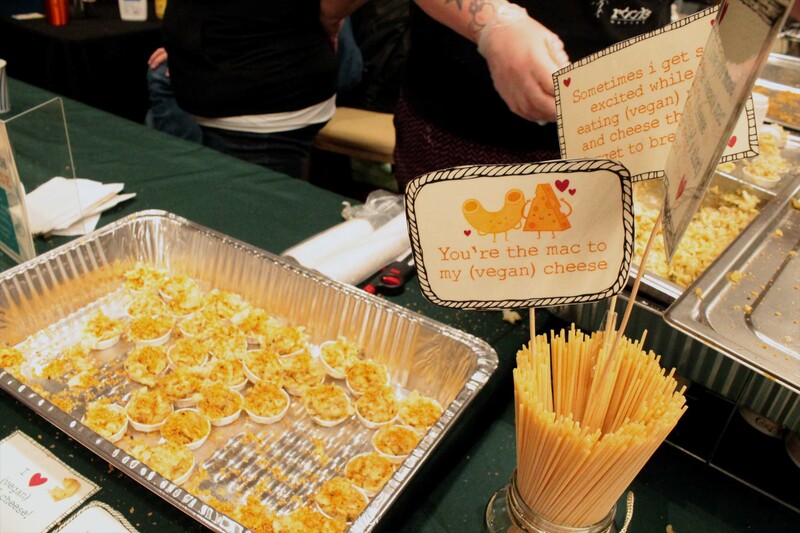 Each year, I’ve made friends with those alongside me as we await our mac ‘n cheese deliciousness.That being said, I hope the 2019 World Vegan Mac ‘n Cheese Championship will be better, still. And I look forward to tasting the culinary masterpieces presented then!